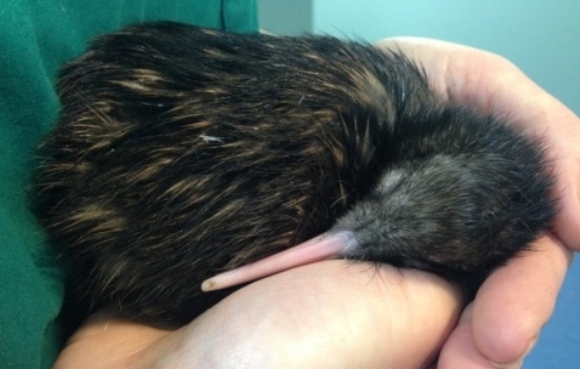 By Rob Griffiths, Community Relations Ranger, Rotorua. 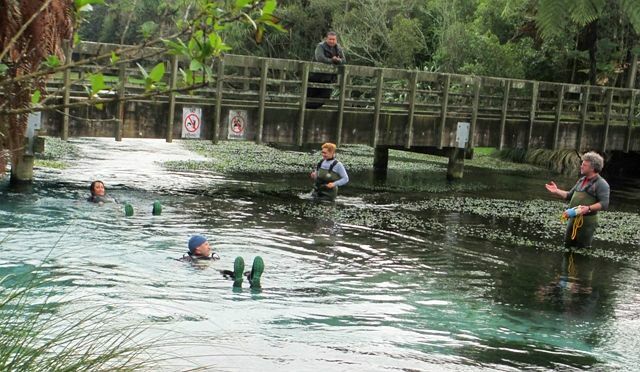 Just over a year ago, inspired by a Te Arawa Lakes Trust initiative, a small project team was formed with the ultimate goal of providing a sanctuary for koaro, a little native fish, in the upper reaches of Hamurana Springs near Rotorua. The initial focus was on constructing a weir across the stream to help exclude trout, and then later to remove the trout from the upstream side of the spring. 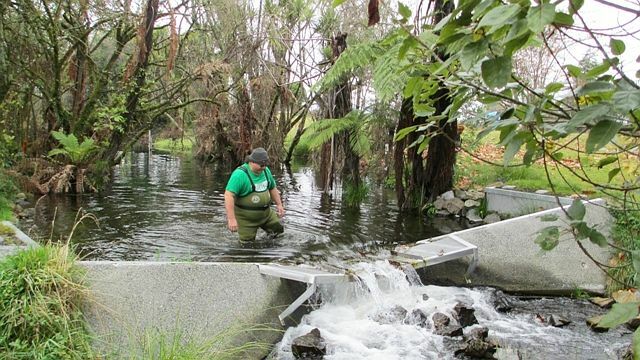 Projects that happen in streams, rivers or lakes around the Rotorua region are never simple! 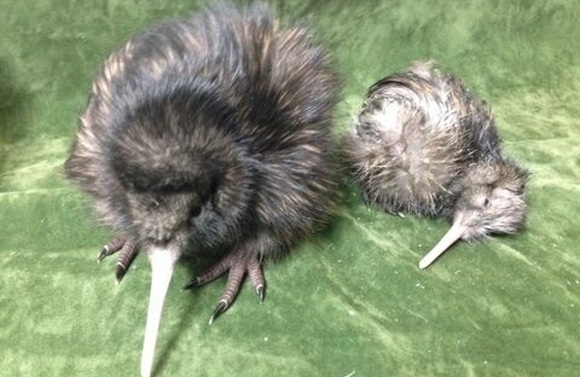 Generally you need resource consent from the regional council, approval from Te Arawa Lakes Trust (as they manage the beds), local iwi require consultation, and often approval is needed from Fish & Game and NIWA. Rather than going through the motions and pushing on alone, a working group that included all the associated organisations was formed and this collective expertise and commitment proved invaluable to the project. DOC Ranger Kristina Thompson has been involved since the outset. She felt it was important to involve as many of the relevant organisations as possible as partners in the project. Their approval is one thing, but having them on board as partners in the project brought the added benefit of their skills and knowledge. The weir is simple in design and construction, having a slightly sloped downstream side to allow koaro to climb, and a grate to repel trout from jumping over. A distinguishing feature of koaro is their ability to climb up very steep surfaces such as waterfalls, dams and even white-baiters’ buckets. 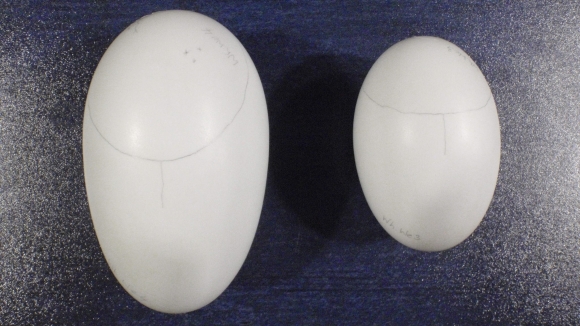 To date, Kristina has been both surprised and delighted with the results of the project. 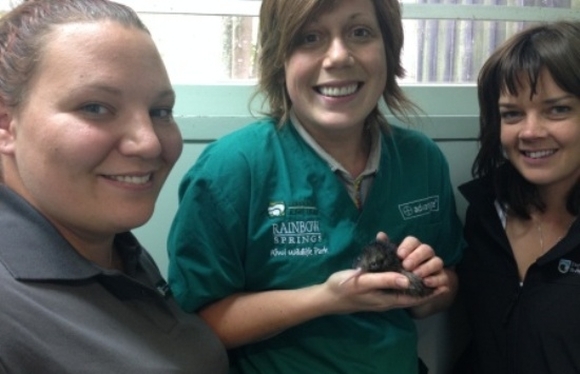 It is the first structure of its kind in the Bay of Plenty and so far the results have been positive. 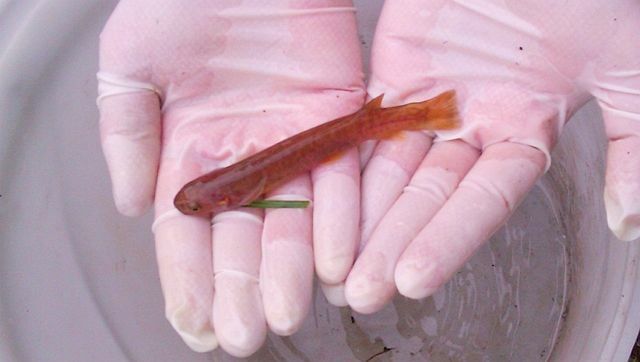 Recent monitoring of koaro above the weir shows that numbers of koaro have sky rocketed, and the waterways they are now found are much more dispersed than previously reported. 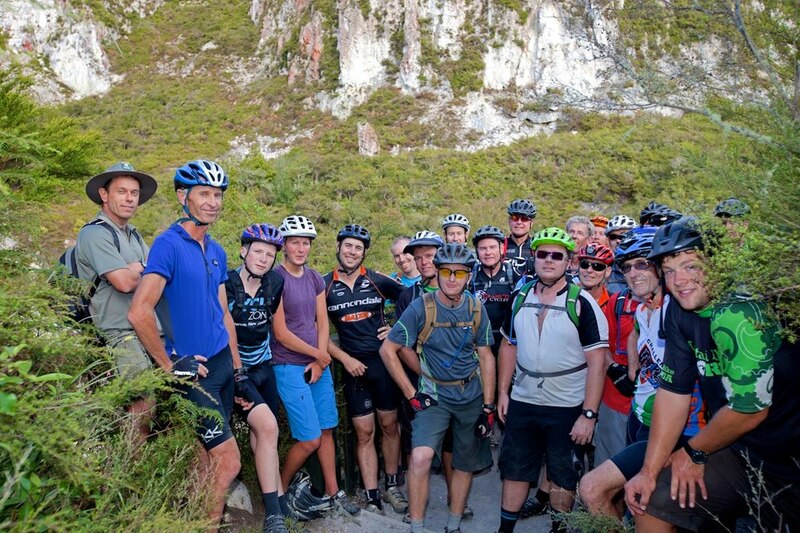 Rob Griffiths, a ranger based in the Rotorua Lakes Area Office, takes us along the newly developed mountain bike loop in the Rainbow Mountain Scenic Reserve. 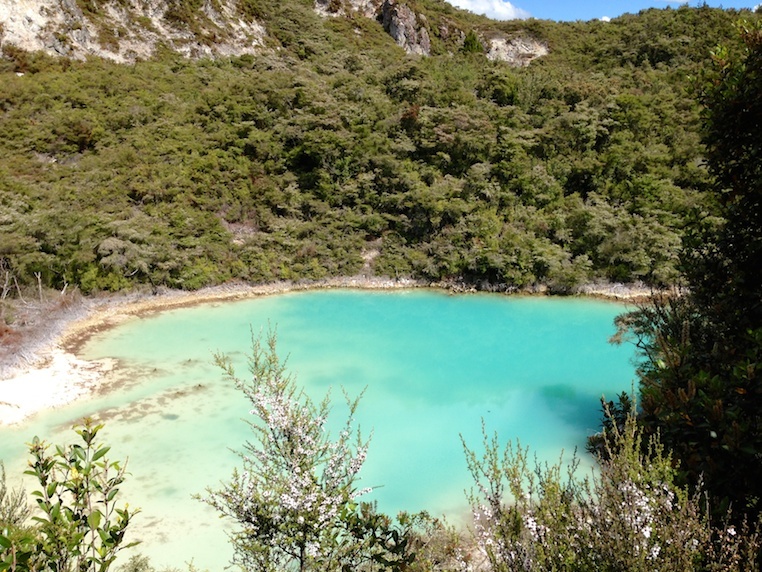 Recent upgrades to tracks and new developments in the Rainbow Mountain Scenic Reserve near Rotorua have created a fantastic mountain bike loop in an amazing geothermal setting. Already this trail is being touted by locals as the best mountain biking in Rotorua outside of the Whakarewarewa Forest. This new trail is sure to soon be on everyone’s to-do list. It is a well paced ride/walk but it can be kind of a steep ride up to the summit. The incline gives the perfect reason to take multiple stops to catch your breath and take in the beautiful natural environment, geothermal activity and learn a little along the way. Catch your breath (again) at the summit as you soak up the amazing views from the summit. 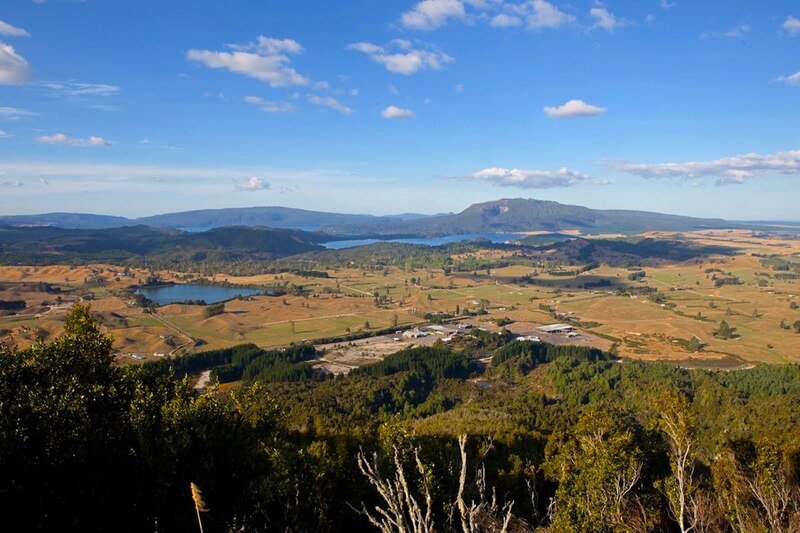 The 360 degree view from the top has been described as the best view “this side of Tongariro”. Next up is a fast and fun descent down to Te Ranga, where you can relax in the cascading waters of the geothermal heated stream. 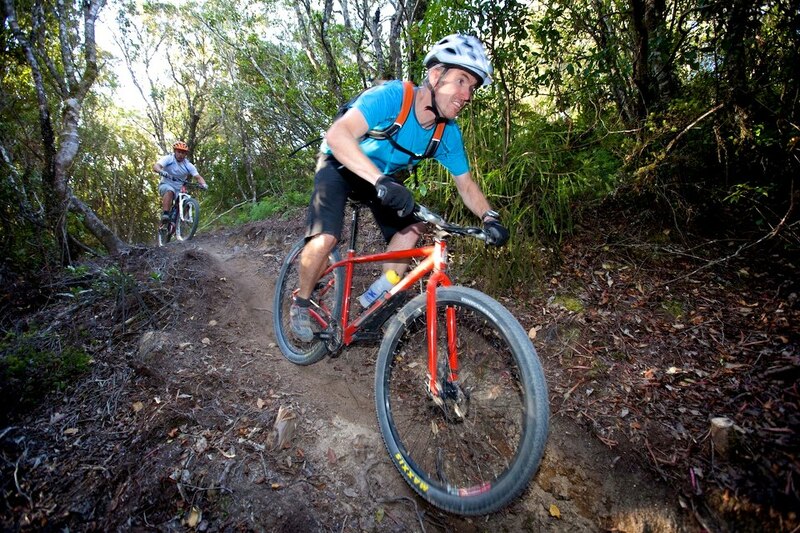 Checking out the Rainbow Mountain Loop during the Rotorua Bike Festival. The Australian Mountain Biking magazine gave a glowing endorsement of Rainbow Mountain during their review of the Rotorua Bike Festival in February pointing out the “geothermal steam rising from the flanking forests and coloured cliffs”. For more information and a map on the new loop check out the Rainbow Mountain mountain bike loop flyer.